One of the most overlooked resorts in the alps. A genuine mountain village that exudes rustic and gallic charm. 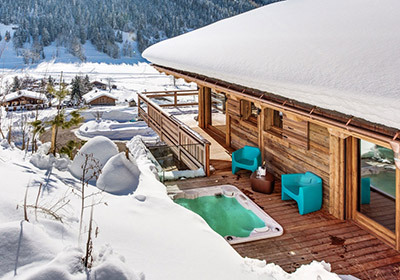 Located in the heart of the Aravis Mountains in the Haute-Savoie and just an hours drive from Geneva, La Clusaz is one of the most overlooked resorts in the alps. A genuine mountain village that exudes rustic and gallic charm, La Clusaz has a life beyond the snow and is a thriving community 12 months of the year. The resort is a perfect place to find traditional French mountain cuisine, with many restaurants and bakeries serving delicious local products including croissants, charcuteries, fondues and more. 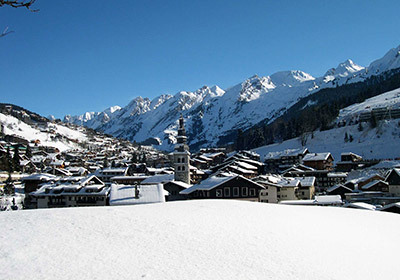 Surrounding La Clusaz are a number of smaller, and arguably even more traditional villages including Chinaillon and, in partiuclar, Le Grand-Bornand. The birthplace of the famous farmhouse Reblochon cheese is definitely worth a visit, especially to try the delicious dish it later created, Tartiflette. 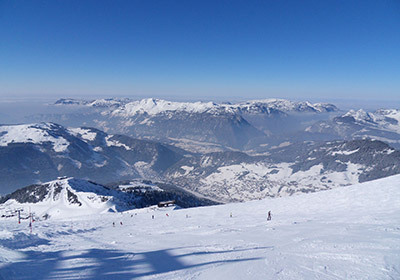 La Clusaz offers some quality, well-groomed slopes for intermediate and advanced skiers. These are often overlooked by skiers in favour of the Trois Vallées and other famous resorts of the Tarentaise. La Clusaz and smaller resort of Manigod share 132km of slopes; while 10 minutes away by free shuttle bus are those of Le Grand Bornand and its lift-linked satellite village, St Jean de Sixt. All four are covered by the same Aravis lift pass and bring the total terrain up to 220km. The local slopes sprawl over five attractively wooded and varied sectors. There is plenty of snow making and, because of a microclimate caused by its proximity to the Mont Blanc massif, snow cover is reliable. Over 9 metres has been recorded at village level. La Clusaz has plenty to do in the Summer with a wide range of activities to keep anyone and everyone occupied. 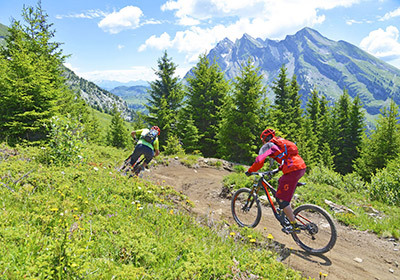 These include extensive hiking and mountain biking trails through stunning Alpine countryside, which is made even easier as some of the ski lifts open in summer, allowing for quick access to the mountains. Along with biking and hiking there are a multitude of additional activities including archery, an outdoor swimming pool, golf, miniature golf and beach volleyball. If you are in the mood for something more adventurous you can even try your hand at white water rafting. Should you ever feel like a change of scenery, both the well known Lake Annecy and Mont Blanc Glacier are just a short drive away. La Clusaz and it's surrounding areas are charactersided by beautiful old chalets built in traditional styles with local materials. As well as these there are also a few brand new, luxury chalets being built. These are generally found on the outskirts of the resort while, in the centre, new leaseback apartment developments have been constructed over the past few years. These instead give you the option to buy a lock and leave apartment that is looked after by a professional management company. Chalet du Rasoir is a striking chalet located in a relaxing environment yet close to both the slopes and resort amenities.